Comments: A very nice half-folio of the temple of Montu, about 12 miles up the Nile from Luxor. This temple was destroyed entirely a few years after Roberts' visit, so that its stones could be used to build a sugar refinery. 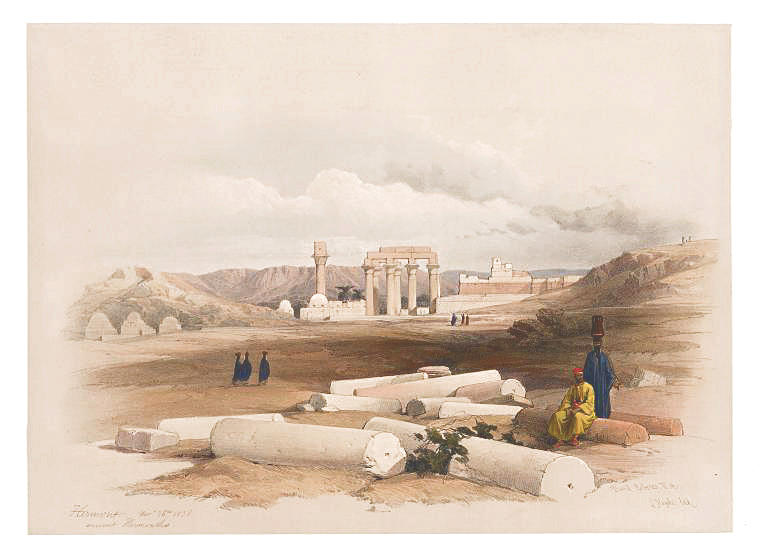 Title: Ruins of Erment, Ancient Hermontis, Upper Egypt. Paper : 16 9/16" x 23 7/8"
Image: 10" x 13 3/4"